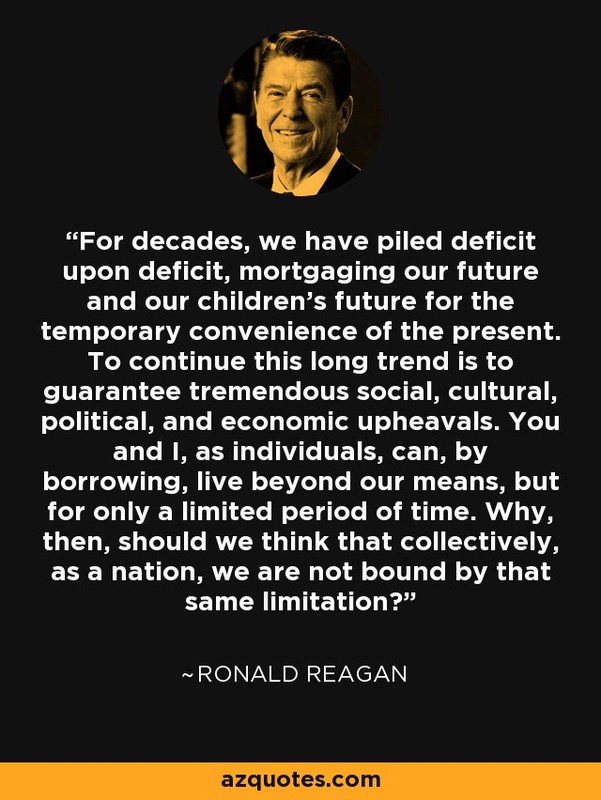 For decades, we have piled deficit upon deficit, mortgaging our future and our children's future for the temporary convenience of the present. To continue this long trend is to guarantee tremendous social, cultural, political, and economic upheavals. You and I, as individuals, can, by borrowing, live beyond our means, but for only a limited period of time. Why, then, should we think that collectively, as a nation, we are not bound by that same limitation?